The way you present your lineup of print services may prove to be as vital to sales numbers as the offerings themselves. The essence of marketing and sales is finding a context for your products to exist within, and this is especially important in specialized fields such as the printing industry. Whereas in years past, it was clear what purpose print served – it was the preeminent way to spread any and every idea – today, you need to set the scene. This process of presentation is not so difficult. You simply need to learn the ins and outs of your offerings, which industries need them most, how they can bring maximum value, and incorporate that knowledge into an ongoing dialogue with your customers. A truly engaged audience will respond to your pitch and become loyal over time, and you will have ample challenges to secure that type of connection – all it takes is a little effort. Printing Impressions columnist Thad Kubis recently explained that engaging customers is the crux of all print marketing. He underlined the importance of striking up meaningful dialogue with clients, based around a very clear conception on what your brand means and which services you can provide. Print service providers today are partners rather than one-off contractors, and ideally clients will deal with your company in a variety of circumstances and across multiple platforms. How is your message? Does it seem true and consistent on all of those channels? If not, it's time to consolidate. Kubis stated that brands are to their individual components as planes are to metal, plastic and wiring – you need to put everything together. If there is no story, no uniting factor connecting everything your printing business offers, customer engagement will be hard to come by. Clients need to know what to think of when they consider your organization, and if they don't come up with a clear image, you may have trouble connecting. What should the unified concept of your offerings be like? Kubis urged printers to make their brand images relatable and relevant. He suggested that you think back to the good pitches you have received from equipment manufacturers hoping you'll adopt a new printing process. Chances are, they did their homework and really figured out what you need now, or what could help you in the future. If you do the same for your customer base, and then turn that relevant message into a unified image that clients can recall easily, you're on the road to engagement. The final component of a customer engagement strategy is expressing the brand vision you have developed. Kubis had suggestions for this, too, explaining that it's good to be mobile-savvy and agile. He recommended boiling pitches down to small snapshots of vital moments where print can help. Each of your services thrives under particular circumstances, and quick, effective summations of those situations should be key pieces of your engagement strategy. Let clients know exactly what your unique lineup of printed items can do for them. A recent WhatTheyThink post by Joe Webb explored opportunities print providers have to capture the attention of clients who are comfortable in the digital world. This is highly relevant when calibrating your brand's new image for maximum engagement potential. Basically, Webb stated that today's executives are coming to print as outsiders. They don't necessarily know everything you can do for them, and they may be willing to discover new proficiencies. Assuming modern buyers have the same mindset as clients from the pre-digital age is a mistake. What does a more engaging approach to print sales – one based on the actual needs and interests of contemporary buyers – look like? Webb explained that they could be swayed by print's new role as a creative discipline, one with plenty of complexity and room to grow. Customized print offerings can transform any marketing or outreach campaign, and refreshing brand image to emphasize this could stoke new excitement among your own ranks as well as your customers. The author added that print's strengths today are whatever clients need them to be. Suiting the role clients need your offerings to play is a better bet than launching a product with no insight into their industries and hoping they will conform to you. Engagement is conversation, a two way street. Using client needs and pain points as the jumping-off point for your brand's newly revised image is a great way to enter the new world. 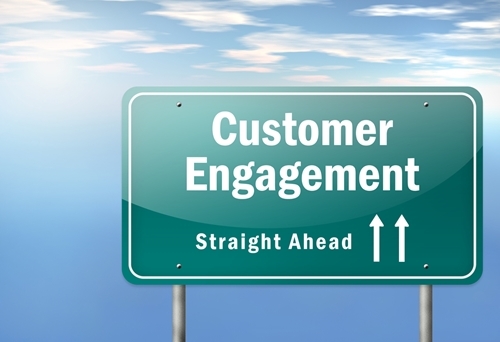 What does client engagement look like? That will depend on your clients. That said, there will always be a few factors you can count on. You should have a strong sense of what your brand has to provide. You must know how all the components of the company can work together in service of a memorable identity. And you have to reach out and meet your customers on channels and terms they will understand.